won will either be the one in which is pictured in the promotion, or a T-shirt of our choice. who shared the post will be selected randomly for a free shirt. How many shirts are you giving away? Each qualifying post is its own contest! Meaning, if we post 5 different commercial promotions and they all share more than 50 times, 5 different people will each win a T-shirt. This will go on indefinitely. We might give away a few, it may be hundreds.. it all depends on how the promotions share. Posts must contain the “Share for a chance to win” tag on the top. We will ask you for your T-shirt size (Small-3XL) and a valid U.S. shipping address. We will then ship it out once you have provided us with the information. Pretty Simple, Right? You are correct. Very simple. If you don’t win, don’t worry, the more of our posts that you share, the more chances you have at winning! If you know you have bad luck with winning stuff, you can always purchase the T-shirt you want through our website 🙂 Keep on Sharing! Thanks & Good Luck!!! 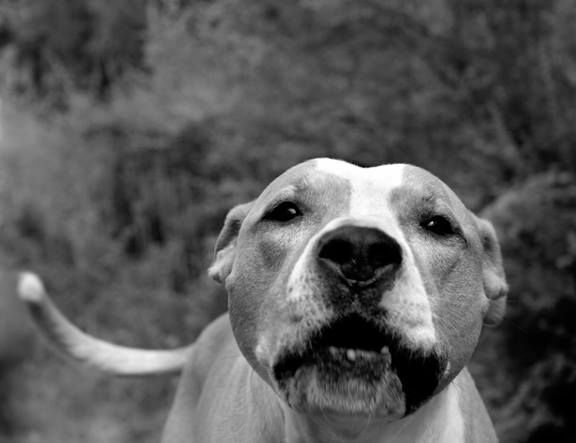 We’ve encountered way too many people who are unashamedly genocidal toward pit bulls. The fact that these bigoted attitudes have sustained such longevity is a marvel to behold. I love how smug and self-content these people get when they can exploit a tragedy. It’s trafficking in human misery and it’s a damn disgrace– all so they can feel justified in rabble rousing against innocent pit bull owners who have just as much to do with these anecdotes as the people leading the witch-hunt. Nothing. I loathe hearing about people suffering, infinitely more than those who pretend they care just to have ammunition, but I simply will not treat my dogs like criminals merely to appease somebody’s blatant, unchecked ignorance and blind hatred. and answer the animal’s plea. so we alone unlock secrecy’s door. and we have the burden to be wise. to endure when our heart aches. to end the agony our common goal. and for the helpless make the choice. Our fist video featuring your pit bulls! 🙂 Thanks to everyone who submitted photos and a special thanks to Chuck Kolodziejski for editing the video. Music by Love Betty, the Distillers, and Townes Van Zandt! The One Million Pibble March on DC! 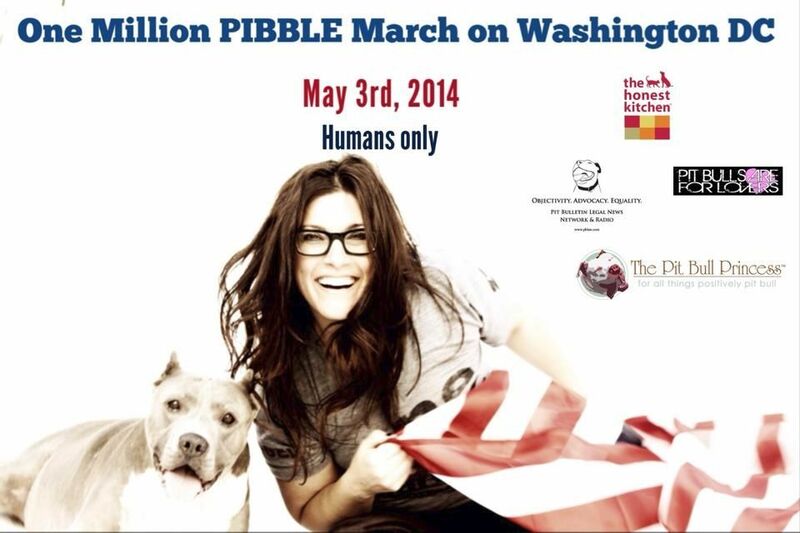 Pit Bulls are for Lovers are PROUD sponsors of the One Million Pibble March on DC coming up this May! The event is hosted by activist and comedian Rebecca Corry, who is energetic, intelligent, sarcastic, humorous and highly motivated to fight for what is right. Rebecca is President of the Stand Up for Pits Foundation that she formed in honor of her rescue Pit Bull Angel. Despite all odds, she has risen in opposition to challenge BSL, breed discrimination, dog fighting and animal abuse. While critics have raised their eyebrows about pit bulls, she has dedicated her career to raising awareness and inspiring other activists to resist the onslaught that has been created against them. The One Million Pibble March on DC will be the first national convergence on the Capitol of its’ kind. The intention of the March is to increase political and social awareness about breed laws and the underground world of dog fighting. This is a much needed effort to help combat the over population, abuse, neglect and senseless killing of pit bulls. While Rescues who protect and re-home pit bulls are fantastic, without changing the laws and creating an environment safe and sane for all dogs, the pressure on these amazing groups will never be alleviated. 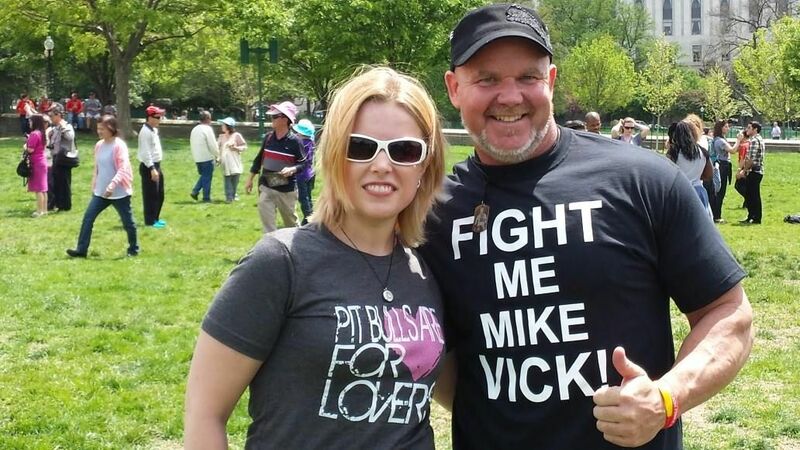 A peaceful, grassroots approach such as the Million Pibble March will be a huge step in the right direction to gain national attention to the unfairness and injustice pit bulls and their owners have endured for far too long. Lobbying to change the laws is paramount to the progress we seek as pit bull advocates! If you are interested in attending this March in person, please read more about it HERE. If you are a pit bull owner or animal activist or a sympathizer to the plight for pit bulls, your attendance is highly encouraged. If you cannot be there physically for whatever reason, please consider holding a small rally or vigil locally in unity with the National rally. Also, events of this magnitude are NOT inexpensive projects. They cost big time! That is why we have chosen to sponsor the march to demonstrate our sincerity. For every garment we sell, a portion will be donated to the march and whatever else we can afford to donate. Pit Bulls are for Lovers merchandise is not only a way to promote the breed, raise awareness, or to look awesome, but also to help with actual efforts to end the madness against pit bulls. We feel that our business combined with our philosophy of social change are powerful ammunition to attack injustice wherever it may roam… and we simply cannot prevail without dedicated groups and individuals who are willing to put everything on the line for what they believe in. You can also donate directly to the march by clicking HERE. No dollar amount is too small, but keep in mind we have to act and fight back if we want the future for our pit bulls to be a bright and promising one. Nothing will change without resistance. Nobody will do the work for us so it is our responsibility to do what is right and do all that we can. If you are opposed to BSL, opposed to dog fighting, and opposed to discrimination, then this is your chance to embrace real change and real goals. Being angry about the injustices we face is a good start, but it is merely half the battle. So please donate today and plan to attend! Never underestimate the power of social change. If you haven’t got your Pit Bulls are for Lovers hoodie yet, now is the time! From now until end of the weekend, use promo code HOODIE at checkout to save 30% off on all of our hoodies! (ends 01/13/14). These hoodies are really great all year round, but none can deny that they are best for the Winter when we really need to be cozy and warm. These expressive and meaningful hoodies are soft style, high quality, screen printed, and are designed entirely by pit bull advocates for pit bull advocates. Do not spend the rest of this Winter without one! This is the perfect weekend to buy! Every hoodie sold helps benefit the million pibble march on DC. Code HOODIE cannot be combined with any other offer and the coupon code will only affect our hoodies and not any other merchandise.